David Lean first opened me to the viewing possibilities of older films. Actually, that’s not completely true, as I’d checked out quite a few “vintage” movies prior to my revelatory experience, but it wasn’t until I saw 1962’s Lawrence of Arabia in 1992 that I accepted the potential pleasures of older works. 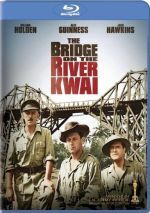 The Bridge on the River Kwai appears in an aspect ratio of approximately 2.55:1 on this Blu-ray Disc. Though not without minor concerns, the transfer made the movie look better than ever. Sharpness was one of the disc’s strong points. For the vast majority of the film, the picture appeared crisp and well-defined. A few instances of mild softness occurred, but these were minor and caused little concern. No issues with shimmering or jagged edges marred the presentation, and edge enhancement remained absent. In addition, source flaws were virtually absent; perhaps one or two tiny specks appeared, but that was it. I did notice an odd glitch at the start of chapter 12, though. It showed a flying bat, and it briefly showed a “skip”, as we saw the bat retrace its flight for about half a second. I don’t still have my old DVDs, so I don’t know if this glitch has always been a part of Kwai, but I don’t recall it from prior releases. Black levels looked deep and dark with good contrast. For the most part, shadow detail seemed appropriately heavy but not excessively thick; I found the majority of the low-light situations to come across as clear and very watchable. The exceptions related to the usual culprit: “day for night” photography. That technique frequently results in overly dark images that could be a little hard to see. These weren’t a real nuisance, though, and they were an inevitable outgrowth of the processes. Overall, the movie looked excellent, as this was the best presentation of it to date. I also liked the remixed DTS-HD MA 5.1 soundtrack of Kwai, though not as much as the picture. Not surprisingly, the forward soundfield clearly dominated the action. The music and effects created a nice spread across the front speakers and offered a good sense of spatiality. As a whole, the quality of the film’s audio seemed fairly good, but it also was inconsistent. These variations were most evident through the movie’s dialogue. Much of the time, speech sounded acceptably natural and accurate, but it could often become edgy and strident. I always found the dialogue to be intelligible, but the variations in tone were occasionally jarring. 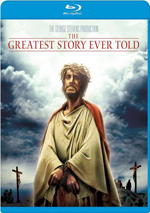 How did the picture and audio of the Blu-ray compare to those of the 2008 Collector’s Edition DVD? I thought the audio was a wash, as I didn’t hear any notable improvements via the lossless DTS mix. The source material simply had too many restrictions for the new track to demonstrate much growth. One auditory disappointment: the Blu-ray dropped the monaural mix found on the DVD. Why? That track wouldn’t take up much space, so why omit it? As for the visuals, they showed substantial improvement on the Blu-ray. This disc was significantly more detailed and precise, and it showed darker blacks and clearer shadows as well. Even the “olive drab” hues offered better delineation. I was fine with the DVD, but the Blu-ray looked substantially superior. In terms of extras, we find a mix of old and new materials. For a repeat feature, we launch with The Making of The Bridge on the River Kwai. This 53-minute, three-second piece combines film clips, footage from the set and new interviews with film historian Adrian Turner, Lean’s assistants Norman Spencer and Pamela Mann Francis, camera operator Peter Newbrook, assistant editor Teddy Darvas, production designer Donald Ashton, and property master Eddie Fowlie. While I thought the program provided a decent look at the creation of the film, it was too general for my liking. The participants provide a lot of solid anecdotes, but I never got a strong feeling for the movie’s day-to-day workings. From what I understand, Kwai was a long and difficult shoot, but that impression doesn’t come across very clearly from this documentary. As such, this show offers a fairly good view of the shoot but it isn’t as definitive as I think it could be. A Blu-ray exclusive arrives via Crossing the Bridge: Picture-in-Graphics Track. This essentially presents a gussied-up version of the standard subtitle commentary, as it provides text notes along with some photos. The info breaks into four different categories: “POW Perspective”, “Creating Kwai”, “Lean’s Adventure”, and “Beyond the Bridge”. “Perspective” looks at the experiences in the POW camps, with an emphasis on inspirations/influences for Kwai. The other three mostly look at the creation of the film, though “Beyond” also contributes some notes about the war and historical elements. The format becomes a bit of a nuisance. When one of the blurbs appears, the movie shrinks into a small box to allow the text and photos to dominate. This makes it a drag to attempt to watch the movie while the track proceeds; sure, you can still see the flick in the little box, but you won’t enjoy it that way. 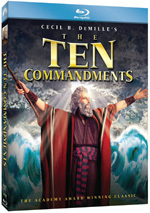 Happily, the disc’s producers offer a chapter option that allows the viewer easy access to the information. You can easily skip from one blurb to the next, so you can zip through the text without the need to sit through the entire movie. I did this, and it made the track more enjoyable. We get quite a lot of good information here, especially in terms of the POW side of things; the track digs into those areas in a satisfying way. We also learn a fair amount about the production. Despite potential frustrations related to the format, this becomes a useful component. Next comes an excerpt from The Steve Allen Show. In this six-minute, 30-second clip, Allen appears to interview William Holden and Alec Guinness in a link-up with the film set. That’s not the truth, though. Instead, Allen provides questions/comments to match pre-filmed remarks from the actors. It’s pretty uninformative promotional stuff that’s vaguely interesting for archival reasons, but it’s not something you’ll want to watch twice. After this we find the one-minute, 50-second Bridge on the River Kwai Premiere Narrated by William Holden. We see photos as Holden talks about events at the premiere. Most of the pictures come from the production, which creates a disconnect. It sounds like Holden discusses images from the premiere, not shots from the set, so his remarks don’t always fit the elements well. It’s an odd reel and not a terribly interesting one. An “original featurette” appears as well. The Rise and Fall of a Jungle Giant is a six-minute, 12-second piece that seems to have been shown during a post-Oscars re-release of the movie. It doesn’t mention Lawrence of Arabia, so I don’t think it comes from a 1960s re-issue, though. Another historical piece appears as well. Titled On Seeing Film…, this 15-minute, 52-second clip was produced by the University of Southern California and comes hosted by William Holden. Apparently it came as part of a series to educate folks on how to get the most out of their movie-viewing, and Holden discusses a number of issues to consider as one watches a film. It’s a bit pedantic but it’s kind of cool, and it also features more nice behind-the-scenes shots from Kwai, so it deserves some attention. The Photo Gallery doesn’t use the traditional stillframe format. Instead, it films the images and presents them as a running video program. The piece lasts for seven minutes, 28 seconds as it features a mix of movie posters, lobby cards and other advertisements. It’s a fairly nice little collection. We also get two trailers for Kwai and some Previews. That area includes ads for Tommy, “The Treasures of Columbia Classics”, “TCM Classic Film Festival” and Midnight Run. An Oscar Best Picture winner that holds up after 60 years, The Bridge on the River Kwai does well for itself. The film offers a compelling and entertaining anti-war film that should provoke much post-viewing thought and discussion. 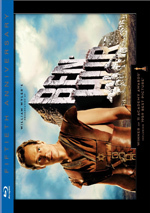 The Blu-ray provides excellent picture, erratic but usually positive audio, and some generally interesting supplements. Largely due to the high quality visuals, this becomes the best Kwai on the market.